Selected 1st overall ahead of fellow HOFer Marcel Dionne at the 1971 Amateur Draft, Guy Lafleur first led the Quebec Remparts to a Memorial Cup victory before dominating NHL play, with his 1246 career points the most for any player wearing “la Sainte-Flanelle”. 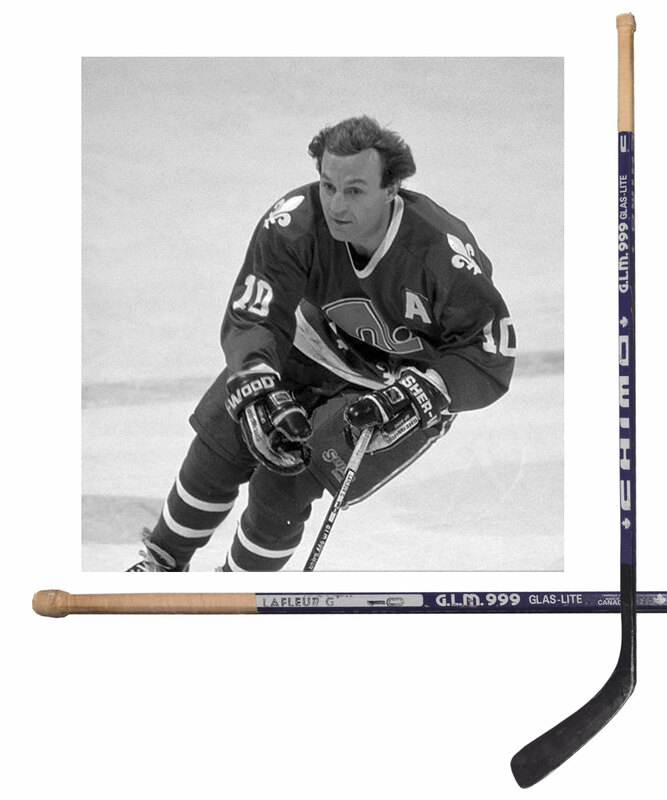 This stick was used by the HOFer in the late-1980s during his time with the Nordiques. 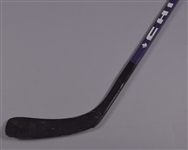 A Chimo GLM 999 Glas-Lite model, “Lafleur G.” along with “10” appears stamped-on, with the stick retaining its original white tape over the handle and knob, with the usual black tape from the blade removed. Nice use is exhibited, with wear to the underside of the blade, along with chipping, abrasions and paint transfer to the shaft.